Screw conveyor as an essential material handling equipment in concrete mixing station consists of the conveyor ontology, orifice, and device driver. There are three kinds of screw blade include entity helicoid, belt helicoid and blade helical surface. Switch and change caterpillar track traction rail to choose pick-rail distance. The intermesh of push rod and lift paw is smaller than the number of car end.The amount of the mesh change is in order to keep the normal link. Straight and curved track rails are made of pressure-rail distance. Rail pressure can ensure greater engagement and prevent climbing when “coasting” phenomenon. Horizontal straight rail are made of standard gauge distance. Standard gauge distance can ensure the traction chain hoist and trolley pusher reliable engagement. This entry was posted in Solution and tagged Screw conveyor by camelway. Bookmark the permalink. How to protect concrete mixer in winter? 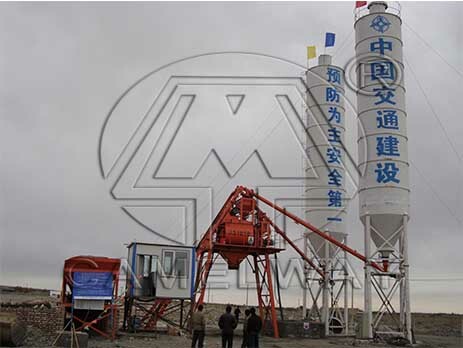 How much does it need to build a set of HZS concrete mixing plant Pakistan?